Babe Ruth, one of the most legendary baseball players of all times was once quoted saying “I won’t be happy until we have every boy in America between the ages of six and sixteen wearing a glove and swinging a bat.” Today, the sport is one of the most popular in the USA with the 2017 MLB attendance being estimated at just under 73 million. Even the amateur adult baseball leagues have garnered a very impressive following in terms of both players and fans. The sport has seen significant changes since the days of Ruth with players not only getting paid more but training harder and eating healthier as well. Baseball players are all-round athletes that burn hundreds of calories during practices and games. In order for a baseball player to perform at his peak, he needs to pay close attention to not only his workouts but his diet as well. Good nutritional habits are of utmost importance for baseball players of all ages as they help you spring into action for that winning home run or to make that coveted almost-impossible catch. A healthy diet must not be overly complicated especially since sportsmen generally don’t have the time to fuss over complicated recipes and eating plans. 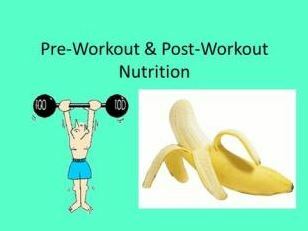 The following simple nutritional tips are aimed specifically at baseball players wanting to stay on top of their game. It is important to eat a balanced diet that includes a lot of lean proteins such as chicken, turkey, fish, and shellfish. Beans and legumes are other great sources of both protein and fiber for players following a plant-based diet or those merely looking to supplement their protein intake. Fruit and vegetables are important parts of any healthy diet and can benefit a baseball player significantly in terms of both energy and stamina. Superfoods are skyrocketing in popularity with avos, blueberries, wheatgrass, and moringa finding their way into the kitchens of many of the world’s top sportsmen and women. The benefits of these superfoods are endless and their inclusion in your diet will have you both looking and feeling better overall in a short period of time. Making healthy substitutes, such as ditching the French fries and having a baked sweet potato with butter instead will still leave you with enough fuel to perform at your best without overloading you with unnecessary carbs. Aim to include raw or steamed vegetables and or fresh fruit in every meal and opt for healthy carbs such as whole grain pasta, bread and rolled oats as they will keep you feeling fuller for lon ger. Indigestion can quickly become a baseball player’s worst enemy making it imperative to avoid any food source that is too greasy, fatty, laden with sugar or processed to the point where the original ingredients are no longer recognizable. In short, stay away from fast foods. There is absolutely no need to load up on unhealthy fast food as it won’t do much for you except weigh you down, interfere with your metabolism and blood sugar levels and prevent you from performing at your full potential. Fast food should be seen as an occasional treat, not a staple food and should only really be eaten in the off-season. It is important to stick to low-fat foods before a game as those high in fat tends to take longer to digest, sitting in the stomach and causing indigestion. The best pre-game meals to eat are those that are high in protein but low in fat and includes veal, low-fat dairy, eggs, nuts, beans and legumes, fish and seafood. Steer clear of anything that is high in sugar and caffeine, including energy drinks. The initial energy boost may seem like a good thing but the crash that is bound to follow will leave you feeling sluggish and even ill on the field. No truly healthy diet is set in stone and it is ultimately up to the individual player to formulate an eating plan according to his own personal food preferences and lifestyle. Most teams have dieticians available to their players that will assist in compiling healthy diet plans. If a dietician is not an option a player can always speak to his own private doctor or seek professional dietary assistance independently.